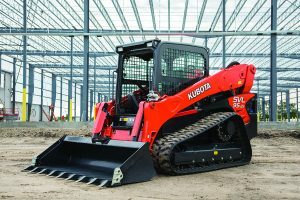 Common part lists and online parts diagrams for Kubota Compact Track Loaders – As a full line Kubota dealership we sell Genuine Kubota OEM Track Loader Parts for the complete line of Kubota Compact Track Loaders. The most common Kubota Track Loader parts are in stock in our Kansas City Area stores and ready to ship anywhere in the country to keep you on the job. Along with Kubota Track Loader parts, we also have track loader attachments, buckets and ground engagement tools. If you can’t find what you are looking for, give us a call at 913-422-3040 and talk to one of our parts specialist. Be sure to have your model and serial number of your machine ready to give our parts specialist.